Imagination includes, among other things, the ability to visualize with the creative parts of your mind and brain in order to activate your resourcefulness, creativity, and artistic/scientific brain. Artistic and scientific are put into one category because they both call upon your ability to think of, imagine, and/or desire to create in your outer world something that you have found within your heart and mind. We say “found within your heart and mind” because your heart usually yearns for the feedback loop of finding a desire, goal, creative expression, etc. within your heart that you are able to “plant” in your mind. If these desires, etc. stay only in your heart, you will love it and maybe even love yourself more because of it. But, if this desire does not expand to encompass your mind, it will likely remain an idea and never become a creation. In this manner, a higher dimensional expression of your SELF, and/or your consciousness, is allowed a manner in which it, your higher dimensional expression of creativity, can flow through the portal of YOUR SELF and into the portals of others who resonate to this higher frequency communication. Yes, creativity does resonate to a higher frequency because it is a “whole brain experience.” In other words, a creative venture calls on the creator to use both their logical, rational, mental left brain to intermingle with your creative, spontaneous, emotional right brain. If one can trust their instincts and their inner messages, imagination can be very helpful to find the Circle of Light that encompasses one’s imagination, to enter into the heart of the one who is imagining. Some people are taught that imagination is a ‘waste of time,” but, a person who would say that to another is likely unable to allow themselves to enjoy their “whole brain thinking.” Whole brain thinking is when one is able to use both their creative, imaginative right hemisphere and their “take care of business” left hemisphere. How is imagination shared with others? Imagination is greatly limited when it is not shared with others. Imagination is often something that can evolve into a new, creative and possible reality. If imagination is ignored, many possible realities are not allowed to be birthed into your physical world. Fortunately, imagination greatly expands when it is shared. However, it is important to be aware if the one you wish to share with is someone who can also embrace their own imagination. In that manner, there is a freedom of inter-mingling the ideas without the fear of judgment. Fear is the enemy of creative expression. On the other hand, creative expression can diminish your fear. It feels very good to allow your imagination to have a voice, a picture and/or any other manner in which your imagination is brought forward from your heart and mind, to be shared with others. Some people are afraid of the judgment they “may” receive if the expression of imagination is criticized by others. This is normal, so do not feel poorly about yourself if you, too, have experienced fear of judgment regarding your expression of Higher SELF. When you allow yourself to BE your creative SELF, the joy that you gain from that small act will more than compensate for any judgment from others. Also, be aware that if you present your creativity as “Not coming from you but through you", then you can better allow your higher self to guide you. “Coming through you” means that you are serving as a “grounding station” for the higher dimensional waves of creativity that are being sent into the frequency of third/fourth dimensional Earth from the higher dimensions of reality. Being thankful for your creative transmissions/ideas will assist you to consciously accept you higher messages, as well as honoring them as a gift that comes THROUGH you, not FROM you. When you perceive yourself as a “channel of higher dimensional Light,” your human ego will not be activated, as the message is a “gift” from the higher frequencies of reality with whom you are NOW gaining a constant contact. We say “constant contact” because once you connect with a fifth dimensional and beyond higher being, you are no longer bound by third dimensional time. Then, whenever you feel an urge to document your inter-dimensional messages, you have a “hard copy” to share with others. Some may share with words, others with pictures, dances, songs etc. In other words, a creative act that you share to express your higher dimensional experiences allows you to more deeply unite your daily consciousness with the higher dimensional consciousness, which comes THROUGH you and not FROM you. Once you are able to give full credit to the Source of your communications and/or inspirations, your ego is excused from your creative act. It is your own ego self who has collected and saved all the times that you were embarrassed, criticized and/or teased for presenting your true creative, multidimensional self. We Pleiadians often work together with the Arcturians to remind our grounded ones of their “reason for incarnation.” The reason that you chose to take a third dimensional earth vessel within this NOW, is the foundation of the mission that you chose to fulfill within your present incarnation. One thing that you will be happy to realize is that, even if you judge your self as failing, or feel that others are judging you for what they perceive as a “failure,” if you continue, you will find that what others think about you is VERY insignificant compared to how you judge your self. In fact, allowing your self to “follow the flow” of your own inner guidance that you feel deep within, will empower you enough to lovingly send away any inner or outer criticism. This criticism may hurt your feelings, but the joy you feel from expressing your creativity far surpasses your fear of judgment. You will also find that the joy of allowing your self to express your SELF via whatever form of creativity that you choose will allow you to send “unconditional love” to those who may judge you. You can send this love because you have allowed yourself to have unconditional love for your self via the expression of your own creative force. YES, creativity is a “force.” When one is in the act of “creating” something that came THROUGH them, not FROM them, they feel “at ONE” with a higher frequency of reality, as well as a higher frequency of your own Multidimensional SELF. Yes, ALL humanity has a Multidimensional SELF, even if their wounded consciousness will not allow them to experience their own higher frequencies of SELF. This condition is best healed by allowing someone, a counselor, a loving friend, even a pet, or a walk through Nature, to re-calibrate your “SENSE OF SELF” back to the multidimensional YOU that you have always been, but temporarily forgot. As you begin to remember your own higher dimensional expressions of SELF, you can more easily adapt to a multidimensional reality in which an “unseen higher guide/SELF” is a common belief that all the members of that frequency of reality are fully embracing. Many of our ones who chose to take a third dimensional earth vessel to assist with planetary ascension have felt very lonely. However, once they remember the “mission” that they chose before taking this incarnation, they remember that they resonate to many frequencies of reality within the NOW of the ONE. At first, most of you believe that your SELF is a different being who resonates to a higher, and/or different, reality. However, if you begin to have regular communications with this “inner being” that you somehow KNOW is real, your third dimensional brain will begin to recalibrate to the receive more and more higher dimensional information. It is often very helpful to document your experiences with your Higher SELF, as your third dimensional brain often cannot retain fifth dimensional stimuli. Therefore, if you write down, draw, sing and/or share your information, two things occur. You will meet others like you, which will make it easier for you to realize that your Higher SELF is in constant communication with you. In fact, as you share your experience with others, you will further open your innate “inter-dimensional portal” to your own higher frequency expressions of your SELF, as well as your Galactic Friends and Family. Once you have an “open channel” between your third/fourth dimensional physical/astral self and your fifth dimensional higher/multidimensional SELF, your life will move into the next octave of awareness. With this new, expanded awareness of your Multidimensional SELF and your Multidimensional Reality, you will NEVER feel alone again. You could be alone in the middle of the ocean, but your higher dimensional SELF will be with you, guiding and protecting you. How are you an expression of your Higher SELF? The answer to this question is: EVERY DAY in EVERY WAY! It seemed that I had waited forever, but I was sitting on one blanket and wrapped in the other. Therefore, I was warm. In fact, it appeared that even the ground beneath me was warm. As I waited, I remembered when John rescued me long, long ago, after I had fallen over the cliff. Then, I reviewed our wonderful life together, as well as the deep sorrow of loosing him and the years of loneliness. Fortunately, there was also my “service to others” that followed. As I looked at my many years of service, I could see that some years were good, but some years were too lonely. However, whenever I “took to the mountain again,” the loneliness eased. That day, my “healing name” became “Mrs. Starlight.” And, as you can imagine, that child became a great healer himself. In fact, he was able to see the aura of everyone, and I was privileged to be able to assist him to better understand what he saw. I also taught him that a very important part of being a healer was to “learn how to turn off your higher vision” and just be a normal person for a while. I had learned that from John. He saw how exhausted I became, and taught me how to “just let go” and relax. And, most of that relaxing was with him. 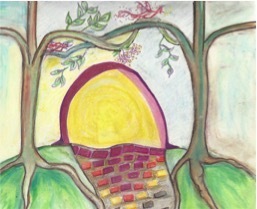 Then, suddenly, my reverie was broken by a huge, Golden Light that appeared in the sky. 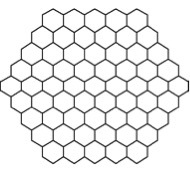 I watched as the Golden Light moved into the shape of a matrix, which I have tried to replicate below. I instantly stood up and waved my hands, as if the Light could not see me. My waving arms were answered by the different colored lights going on and off within the matrix. I assumed the order and color of the blinking lights was some kind of language. In fact, it seemed that the message from the colored lights was that I just needed to relax and remain still to allow them to “beam me up.” As I was slowly lifted off from the ground, I wondered what the villagers would think and hoped they found the note I had left explaining where I had gone. As I rose higher and higher into the sky, I could telepathically hear the loving messages that the villagers were sending up to me. Of course, they found out about my plans and quietly supported me without ever saying a word. I was so very happy to have had a long life with these wonderful people, and sent them all my deepest love. Sending my love was about all I could do while being pulled up the long, golden light, which formed a golden pathway towards a wide opening in the Matrix. However, the light was so bright that, soon, the Golden Light was all I could see. I was so very happy that my dream life, as well as my dear husband, had prepared me for this moment. In fact, John had come into my dreams many times to take me through the entire process so that I would not be frightened. Therefore, I had no fear, but I did feel a strong mixture of great love and joy for the life I had lived, as well as for my crossing into another world and a new adventure. As I came closer and closer to the “Source of the Light,” also known as the “Source,” I became aware that I could have been beamed directly through the Matrix, but they (who ever “they” were) knew that I would enjoy a final look at the reality I was leaving. In fact, I could see that more and more of my dear friends were coming out of their homes in their sleepwear sending me their love and support for my new life. I was eternally grateful that my friends could feel the love coming from the huge, Golden Light and knew that they, too, may be able to have that experience whenever they chose to. As the Matrix came closer and closer. Then, I suddenly found myself inside a Sky Ship, and who would meet me but my beloved John. John was wearing a uniform that appeared to denote that he was of a high rank on the Sky Ship. Then John embraced me tightly. I took in the power, unconditional love, and deep sense of unity that we had felt for each other on Earth. I felt safe, loved and accepted. Gradually the many questions that I had wanted to ask, all faded away. John and I were in “our new home,” and that was all I needed to know. I then saw many of my friends from the Village who had “died.” They stood before me wearing their “dress uniforms.” It was then that I remembered that I had had many dreams of this very moment. I came to my computer as I heard you had a message, but I got sidetracked by some email. Can you please assist me to remember what you were beginning to say through me? Distraction from our “Higher Call” as well as from our “communications,” is an ongoing challenge for our grounded ones. There is so very much to do in your daily life, that if you do not set up a special time and place which is dedicated to your “inter-dimensional communication,” it is easy to “forget” or “put off” one of the most important meetings you can have. In fact, consciously remind yourself that “It is the NOW to receive an Interdimensional communication that you WILL document, and hopefully, share with others. We, your Galactic Family are so very grateful to those who maintain an open portal to their Higher SELF and their Higher Dimensional Realities. We will now assist you to understand how “Higher SELF” and “Higher Dimensional Realities,” are very similar, but not totally the same. Your Higher SELF is a higher dimensional version of your consciousness, which may or may not look like the YOU that is wearing an earth vessel. For example, your Pleiadian SELF is tall, thin and usually wears a blue uniform. On the other hand, your Arcturian SELF has never shown you our form. The reason for this is because we prefer to be free of all third dimensional form and to remain in our most powerful form of an energy field. 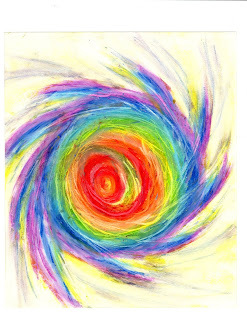 This energy field can be held into a form if we find that is important to get one's attention. However, we prefer to remain in our true, wavering, transmuting form that can best align with and intermingle with a person, place, situation or activity that is in need of our assistance. We say “in need of our assistance,” because we chose to lovingly send you Unconditional Love, or the “power of an idea” when we wish to communicate with you. When we say you, we are not just speaking of the channel who is transcribing this message. When we speak to humanity, we do so in a manner that each of you feels as though our message is for just you. We do so because you live in an individualized reality in which you vowed from your Higher SELF that you would take a human earth vessel to assist Gaia with Her Planetary Ascension. On most planets and most realities, there no “separation into different individuals” that is a primary component of Earth’s operating system. In fact, dear Gaia volunteered to take on that task because She wanted to find a way to blend the great love and beauty with Her Sister Venus and the separation into individuality of Her brother Mars. However, the outward reaching power of Mars has proved toouncontainable to many third dimensional humans, and an energy field that has too often overridden the deep Unconditional Love of Venus. Gaia rotates between the love and beauty and Venus and the warrior, protectiveness of Mars. In fact, the “female modal of humanity was to emulate the Venus Operating System” and the “male model of humanity was to emulate the Mars Operating System. In this manner, we the Galactics hoped that Earth would serve as the planetary body where male and female energy fields could remain separate until that energy field was mastered. Then, the masculine (energy out) and feminine (energy in) FLOWS could intermingle to create a new form of human. This new form of human is much like the humans who resonate to the higher fourth and, mostly, the fifth dimensional frequency of reality. Gaia, brave planet that She is, chose to represent the merging of the male—energy OUT flow and the female—energy IN flow. This in and out flow of Interdimensional energy fields was to function much like an “engine” that would empower Gaia to begin Her transmutation from a third/fourth dimensional planet of individuality and separation into a fifth dimensional planet of Unity with the ONE. It was planned that these oscillating energy patterns flowing intoand simultaneously, out from Gaia, were meant to escalate the frequency rate of Gaia’s planetary energy rate, as well as the energy rate of ALL of Gaia’s beings. However, the “dark ones” could see the potential ofusing Gaia’s ever advancing energy field for their own gain. However, greed often does not take the time to do sufficient research. Therefore, the “greedy for power over ones,” who came to Earth from their planet far away – which they had destroyed by their greed—to find a new Home. However, the very “greed for power over” that destroyed their world has greatly damaged Gaia, planet Earth’s, world. The problem was that those who had the “power over others” persona greatly disliked the “power within ones,” They disliked the “Power Within Ones” because they always seemed to enjoy their reality, which they filled with camaraderie and love. The “power over others” could not understand how the “power within” group seemed so happy, enlightened, artistic and even “inter-dimensional” Therefore, the power over ones set out to destroy the power within ones. Thus “WAR, famine and disease” were introduced into the beautiful, loving planet that we the Galactics call Earth. We come to you within this NOW because Gaia is being greatly assaulted. This assault is not from outside of Her planet, but rather from those who live ON Her planet. Gaia is very confused. 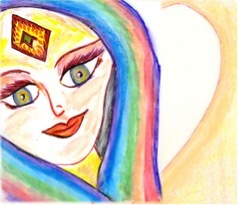 She deeply wants to assist those who love Her and centered on peace and love. However, within the same NOW, there are those who think only to feed their greed – No matter what the cost may be to dear Gaia and ALL Her inhabitants. Fortunately, they are many humans who live by Gaia’s operating system of being a planet of love and evolution. Therefore, Gaia is in greater conflict than before because the “power over” ones have NO respect for Gaia and wound Her more and more each day. On the other hand, the “power within” ones are doing all they can to protect their beloved planet Gaia. Hence, the planet that was meant to be one of Love and Peace, has become a planet of Fear and War. We realize, that we, the higher dimensional expressions of those of us who chose to take a third dimensional Earth Vessel to assist Gaia, are wearing an Earth Vessel, BUT we are simultaneously, our fifth dimensional expression of SELF on the higher dimensional Ships and home worlds. We have come from many different planetary realities to assist dear Gaia. But, just as we have come to assist Gaia from our realities based on Love and Light, other beings have come from their realities based on Fear and Power Over. In this manner, old Galactic issues that were solved by “refusing to intermingle,” must NOW intermingle if we are to assist Gaia. You see, the power over group has as many of their people on Earth as the power within Group. Therefore, they do not want Gaia to be harmed either, for if they harmed Gaia, they would also harm their own people. We hope that you can see how this is actually good. Both the Power Over and Power Within beings must work together, and ONE, if they are to save planet Earth, which they have both been inhabiting for many millennia. Therefore, Gaia, who has been greatly suffering from the selfishness and greed of the Power Over Ones, hasalso been greatly benefiting by the Unconditional Love and Inter-dimensional Power of the Power Within Ones. What would happen if the “Power Overs” and the “Power Withins” were to come to an agreement to stop their wars and destruction to remember that if the planet dies, they ALL die. The “Power Within ones” deeply love Gaia and could not bear to see Her destruction. On the other hand, the “Power Over ones,” are beginning to realize that if they destroy Gaia, they also destroy the planet that has served as their home. However, the Power Overs do not know how to send Unconditional Love because they have NEVER received it. They were not raised by loving families. They were treated by their own family in the same manner that they treat others—with Power OVER. But,what if the Power Within ones decided to give the Power Over ones what they received, which was and is—The Power Within that has allowed them to give to others the same patience, commitment and love that they were given. There are also the VERY POWERFUL ones who were NOT raised with power within and unconditional love. But, somehow, they were able to “connect with” and “listen to” their own Higher SELF to gain the love, patience, direction, and encouragement that may have been missing in their 3D world. We, your Galactic Family, wish to offer YOU, those that we just spoke of, as well as ALL of humanity, our Unconditional Love and Inter-dimensional Light! It is totally free, as are all Unconditional gifts of love and light. Blessings from your higher dimensional self and your higher dimensional family. We are ALWAYS with you!! Just give us a call and we will answer. *Interested in joining others in this endeavor? 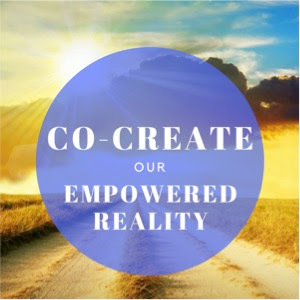 Co-Create Our Empowered Reality webinar on Wednesday. Please join us ~ all are welcome! We invite you to register, and you will receive the recording. 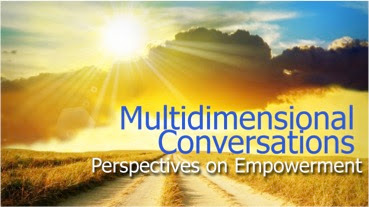 We always enjoy having expanded conversations that enable us to utilize our multidimensional awareness and perspectives. We invite you to listen in behind the scenes to a recent leadership discussion we held in preparation for our upcoming webinar which will immerse us in the discussion of personal empowerment. 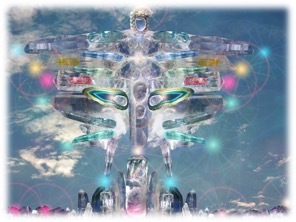 The Arcturians join us towards the end to encourage us to continue to ground the higher frequencies of information we receive by writing and disseminating the information in our unique ways. We encourage you to listen to the conversation and share your thoughts in the comments section. If you want to dig deeper into the topic with those of like-mind, please consider joining us in our Wednesday webinar, Co-Create Our Empowered Reality. We wish to fill in what Suzille was trying to say. 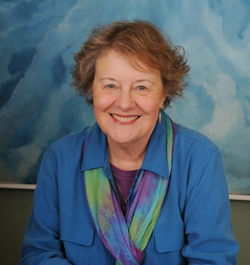 The article that she had been working on for two days is one in which we have been telling her that there are changes that are getting ready to manifest in the physical world. They will first manifest in the physical word of those who are already able to activate and understand this inter-dimensional communication. That’s why we are so pleased that you are writing things down and remembering things. The writing down is really important because you ground it by writing it down. Also, if you forget it, you can go back and look at it. Most importantly, you are practicing how you share what you know because you are all leaders. Therefore, whichever way you lead will be the way that fits into your life. There is no right or wrong way to lead. As you move within yourself and determine how you lead yourself by determining, realizing, documenting, meditating, how you are connecting yourself – that will be what your service is. Your service is what you are receiving within yourself. The more you know about what you are receiving and the more you know about how you share that service, the more your consciousness expands. Now you are no longer just in the third dimension because you are receiving Fifth Dimensional information. You are running it through your brain, you are running it through your body, through your life, and you are sharing it with others. What you are actually doing is using your body as a portal of light. This higher frequency of reality that we, primarily the Arcturians, the Pleiadians, the Antareans, and some other galactic beings and the ascended masters and all of the higher beings, see is that Gaia is ready to expand. What that expansion means is that it is a collective expansion because Gaia is an individual being that has many other individual beings that are living on her planet. It’s like if you have billions of children – that’s’ how many children Gaia has. As mothers know, that’s a lot of work! She needs our help. Gaia needs the help of those who are able to assist her to disseminate what she shares with them, and then they can disseminate that message in whichever way is natural within their own lifestyle. That dissemination begins with creating a dedication to receive and to document. It looks like that’s what you are all on the case about, and that is great!. It’s good for Gaia. Gaia thanks you for that, and so do the Galactics. We invite to you to share your thoughts in the comments below. Thank you in advance for serving as a portal of light to bring in higher dimensional awareness! webinar on Wednesday. Please join us ~ all are welcome! I just had a long, very deep meditation, but I had to get up and walk across the room to get my computer and write about it. Can you please assist me now to bring back what seemed to “fly away” as soon as my consciousness came back to 3D life? Do you see how easily one (we say “one,” as we speak to ALL of you) can go back into that higher state of consciousness? You are typing with your eyes closed now to better experience the inner world. Therefore, we will lead you back into the state of consciousness which was interrupted so that you could share it with others. First, we say thank you to you, and to all the others who share their inter-dimensional experiences with the members of their third dimensional reality. It is the NOW for that third dimensional reality to move into its next, higher expression. In fact, there are many fourth dimensional events that have been occurring. Because these events are fourth dimensional, rather than fifth dimensional, they are usually extreme to your third dimensional reality. Please do not be concerned with the many changes and problems that seem to be appearing within your third dimensional reality. Yes, we are happy that our grounded ones are concerned enough to find their personal manner in which they can assist humanity through this process of Planetary Ascension. What that means at the most basic level is that when you are “in the NOW,” you are present within the NOW of your own consciousness. How often does this actually occur? How often are you thinking, feeling, living in the past or the future? There is no problem in being in the past or the future unless that makes you forget the present. So, what do we mean by the “present?” What we mean by the present is that you are, as much as possible, living within the NOW. The “NOW” is NOT a time. The “NOW” is a “state of consciousness” in which you are fully, or even partially, in connection with your own Higher Dimensional SELF. This “Higher Dimensional Self” is not just in the fifth dimension and beyond. Your own Higher Dimensional SELF is within the unused 98% of your brain, the unused 98% of your inter-dimensional consciousness, and within the 98% of your true, Multidimensional SELF. Humanity has been trained to believe that they are “just the clay vessel” that they are wearing to create their “physical earth vessel.” However, this “earth vessel” is, indeed, the third dimensional, earth vessel that was created within your third dimensional mother’s womb. Usually, being a “walk in” means that one of our higher dimensional beings decides to wear a 3D earth vessel so that they can better understand how to assist ascending Gaia. Sometimes these “walk ins” remember their true life in the higher dimensions, but usually that is only once they have expanded their physical consciousness to embrace the meta-physical realities. On the other hand, most of them are “very imaginative” children. Usually, these children learn to “keep their mouth shut” about their true self, as most people become very disturbed by that information. Fortunately, these children are usually in constant communication with one or more versions of their Higher Self and/or friends in the higher dimensional Homeworld or Starship. Usually, the adults tell the children that these experience are, “just your imagination.” After the child has heard that enough times, they either stop their inter-dimensional conversations as they don’t want to “be different than the others,” or they keep what they think of as a very special friend, as a secret from others. Having this “secret” often makes the child shy, or it may even harm their self esteem. However, the comfort and information that they are receiving from their “secret friend” is too difficult to give up. Therefore, they don’t talk to anyone about what is one of the most important things in their life. On the other hand, the comfort and information that they receive from their “unseen friends” becomes so important that they hold onto these friends and their information like an inner tube in stormy waters. This experience of being “cast adrift in an unsafe world” is often their experience. However, since they cannot share their higher dimensional experiences with others, they begin to share their third dimensional experiences with their Higher SELF. We, the fifth dimensionals and beyond, have completed our “tour of duty” in our earth vessels, and have returned Home to our higher dimensional ships and/or higher dimensional planets. While visiting our Higher Dimensional Ships and Home Worlds we are able to, not only fully express our innate Fifth Dimensional SELF, but we are also able to communicate with and send unconditional love to our Galactic Friends who are currently wearing earth vessels. We, those who have returned from our “tour of duty” on Earth, are VERY aware of the difficulties of awakening to the higher dimensional aspects of your true SELF while you are still wearing a third dimensional, very limited, physical body. Even more difficult, we tend to take our tour of duty during a “time era” which is, or will have, great upheaval. For example, the “Baby Boomers” came in after World War II to make sure that NO more world wars would occur. They have been relatively successful in their endeavor in that there have not been any “world wars” with “atomic bombs,” but there have been some major disasters such as Chernobyl and Viet Nam. We, the members of the Higher Dimensional Society, whom you often experience and communicate with in your night body or meditations, are ALWAYS with you. You may not see us in your physical world, as we choose to remain in the fifth dimension and guide you from that higher frequency of reality. Also, as you begin to realize that your “imagination,” “inner fantasies,” and/or dreams are indeed REAL experiences. You usually can only realize that fact after you have allowed yourself to “write down your dreams,” “ask your Higher SELF to channel information to you,” and/or share your experiences with others who are having similar experiences. It is very challenging to walk this TRUTH alone. However, the best way to “walk this truth” is to share it with others. If every human who has had any form of inter-dimensional experience were to form a line, it would “almost” encompass the Earth. It is our goal to awaken ALL of our earth bound expressions of our fifth dimensional, and beyond, expressions of SELF. We in the fifth dimension and beyond have fully realized that we are ALL Multidimensional Beings. What that means is that ALL of those/us who resonate to the fifth dimension and beyond are in touch with most, or all, of the Higher Dimensional Expressions of our Multidimensional SELF. That is ALL, but NOT including our third dimensional expressions. Our third dimensional expressions resonate to a much lower frequency, which is the frequency of planet Earth. Those brave expressions of our Multidimensional SELF volunteered to leave ALL, or most of their higher dimensional abilities, with their Higher Dimensional SELF so that that they could understand why it was so difficult to live a life filled with Unconditional Love and Fifth Dimensional Knowing on the third dimensional planet called Earth. Many of us went to Venus, Gaia’s dear sister, to prepare for our great challenge of being a third dimensional human. Venus is Gaia’s sister planet. Therefore, many of Gaia’s volunteers travel to Venus in their meditations or night bodies to receive the Unconditional Love, Total Kindness and wonderful Lessons that can be gained by that visit. We, your Galactic Family, are so very sorry that you have had to live in such an unsafe world for so many incarnations. However, Gaia, too is tiring of Her third dimensional vibration and is preparing her Planetary SELF, as well as those who serve Her planetary body, for Her Planetary Ascension. Most humans on Earth during your NOW have little knowledge of ascension and think of it as something that only “ascended masters” can do. However, we your Galactic Family, wish you to know that YOU are already “ascended to the fifth dimension and beyond” while on our Ship. Just as you would not wear a heavy coat in the desert or a bathing suit in the middle of a huge desert, you do not wear your Light Body while you are on Earth. It is for this reason that most of us do not take too many incarnations on Earth. We find that we can better assist our brave volunteers to take an earth vessel via our inter-dimensional communication. We wish to tell you all that there are as many ways to have inter-dimensional communication as there are people. Because Earth has such a diversity of people, there is also a great diversity of “volunteers.” Before we take an earth vessel, we study everything about Earth’s history, starting from her conception as a planet. This information is NOT shared with humanity. However, if their consciousness is high enough that they can join us on our Ship via dreams or other means, they will be able to join in with our meetings. Then, when they-in fact YOU-“wake up” to your 3D world, you will be able to remember some of what you have experienced. However, the third dimensional brain cannot hold fifth dimensional information for very long as the frequency rate of the message is too high for it to deeply align with the physical brain. Therefore, we ask you to contact us as soon as you awaken, if you want to be able to remember what occurred. If you “forget” to contact us in the morning, you will likely totally forget all that has occurred in your higher dimensional night body. In fact. most people forget what occurred while in their night body, but they may wake up with a pleasant feeling and sense of comfort and courage. In fact, comfort and courage are amongst the most important things that humanity needs during these difficult times. We, your Galactic Family, see that Gaia, as well as many of her humans, have suffered greatly via the planetary changes. Some of these changes are a “warm up” for planetary ascension, and some of these changes are because humanity is in a process of expanding their consciousness, perceptions, and interactions with all life. When a person, or planet, is within a “cycle of change”, that which needs to be released comes to the surface of their awareness so that they can “take charge of their life.” It is through taking responsibility for the life that YOU have created, that you are empowered to make the changes that are necessary within your NOW. Please remember that “creating change” is very brave. Once one decides to change, then they will begin a process of “letting go” of that which you no longer wish to experience and “letting in” that which fills you with Unconditional Love and Joy. Through our Galactic Volunteers to take earth vessels on Gaia, we have learned how very difficult it can be to live on a third/fourth dimensional planet who is “ready to transmute” into a fifth dimensional planet. Many of you have taken multiple incarnations on Gaia to learn how to assist Her in this NOW of Planetary Ascension. Because time is an illusion of the third/fourth dimensions, we, and YOU, cannot give a time about when this Planetary Ascension will occur. However, rest assured that YOU return to us, your Galactic friends and family on a regular basis. It has been decided that the memory of that event is important within this NOW of great changes and problems on Gaia’s Earth. Therefore, please remember that when you go to Earth, it is to assist Gaia first, and then ALL Her inhabitants. Blessings for your great contributions, and thank you for joining us in this conversation. We, your Galactic Family, are happy to join you on our Ship in your night body. You may or may not remember these visits, but when it is the NOW, you will be called to duty and remember all that you have learned. to co-create an expanded reality and prepare to actively step into 5D awareness. the reality you wish to bring about. Go ahead and register, we will be pleased to share the recording with you.